Just a round up of what I've been up to lately. 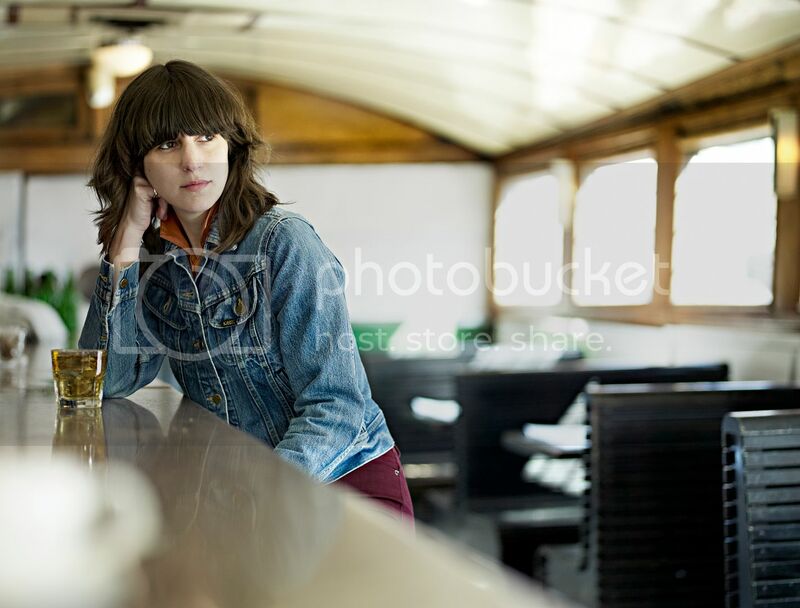 I've been listening to an amazing new artist: Eleanor Friedberger. She's an amazing singer, with such a powerful voice. She's just released her solo album, Last Summer (she is one half of The Fiery Furnaces) and proves that she can do solo really well. She has great style, and was even featured in Vogue: she's clearly destined for great things. I've been listening to her debut album, and it's so amazing. It's really mellow, and perfect for a relaxing night in and also has some catchy bits to it, that are perfect for a sing along. The lyrics are from the heart and so emotional, that you can't help but just do nothing and listen. It's such easy listening throughout, and an album that should be on everyone's playlist. Early Earthquake is a clear stand out track. It's acoustic, with a fantastic sound to it, and Friedberger's voice sounds amazing. Check out her video for debt single, My Mistakes here. 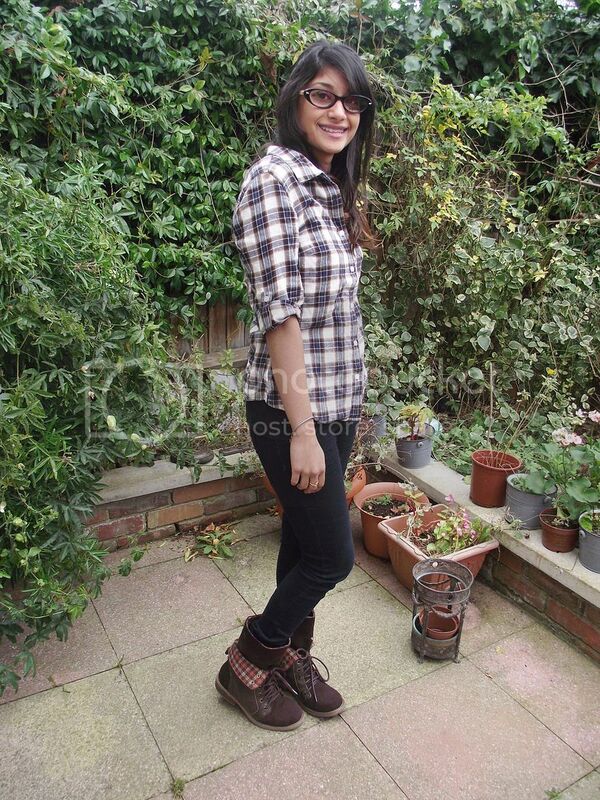 Boots are from Rocket Dog, Jeans are A Wear, the plaid top and tank are both Clothing at Tesco. I love that plaid top. It's so soft and comfortable! I've been inspired by this post from Silvertigo to wear my glasses more in outfit pictures. I've been using some amazing new Toni & Guy products on my hair, which are part of the Hair Meet Wardrobe range and my hair's been looking great. 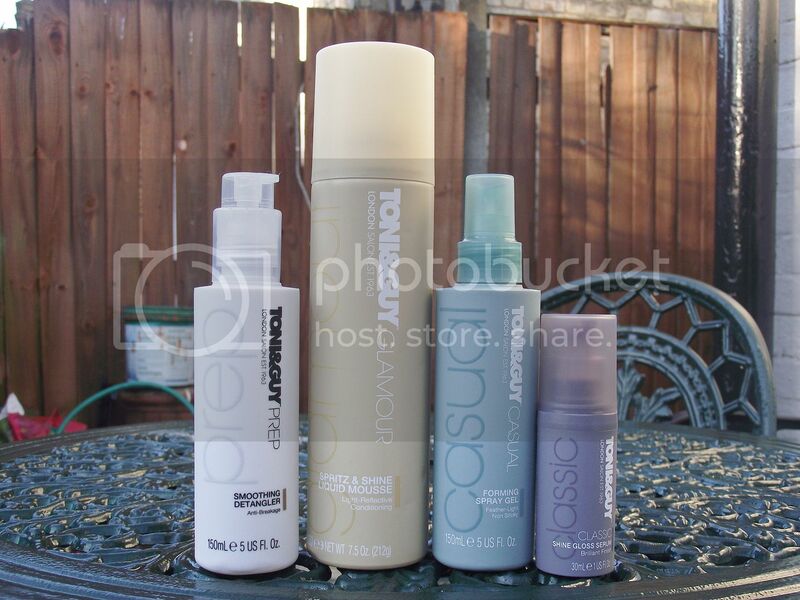 They're one of my favourite hair brands out there, and their products always work so well. Toni & Guy are one of the main brands working backstage at London Fashion Week, so it's fitting that they would come up with a range like this. Hair is the ultimate expression of style and so they're dealing with hair in a fashion way. It comes in four collections: Casual, Classic, Glamour and Creative, each to match your style. The products I got to review were all absolutely amazing and I loved using them. First up, I had the De-tangler, which is to prep hair. This product works like an absolute dream. Tangled hair is a problem we all face, and the de-tangler really does de-tangle. It's supposed to reduce frizz and I've noticed that my hair really is more manageable and smooth. From the Glamour range, I got the Spritz and Shine Liquid Mousse. The collection is meant to create a red carpet look, and this mousse adds a great reflective shine. I can't wait to try more from the Glamour range as they'll be perfect for more glamorous and night-out looks. The Mousse was perfect to use and kept my hair in place all day. The Shine Gloss Serum from the Classic Range was my favourite out of all the products I got. The Classic range aims to add an air of elegance to your look, and again, works really well. The product smells amazing (all the HairMeetWardrobe products include Toni & Guy's new fragrance, which has touches of ginger, warl grey tea and pink pepper, with a blend of creamy vanilla, smooth woods and soft musk), and the fragrance lasts all day. The product really added some shine to my hair and was perfect for controlling frizz. Finally, I also got the Foaming Spray Gel, from the Casual range. The range is perfect for an everyday look, and will probably be the product I use the most, as well as being part of the most useful range ever. I have naturally really curly hair and this range will be perfect for leaving hair lightweight and casual, especially for cool beachy waves. I've also been using my new glasses, from Superdry. I don't think a lot of you know that I wear glasses. I've been wearing them for close to 10 years now, but switched almost entirely to contacts about 7 years ago. I've never had the most fashion forward glasses; I think my first pair was a Simpsons one, with little Homer's on either side, but I'm hoping to get a lot of new, really cool glasses soon. This is my latest pair, from Superdry. Available now, only at Vision Express, all the glasses from the range look really cool. I picked the Daisy, which is a cat-eye and looks so vintage. The detailing on the glasses is gorgeous and things like bamboo and hand embossed markings give each glasses a special touch. My Daisy ones are gloss jet black and come with ivory detailing. Also, it's officially Panto season: definitely one of the best things about the Christmas season. In honour of this, QVC are doing something pretty cool: they are the official jewellery supplier for UK's pantos, supplying Diamonique jewellery. Stars have been wearing jewellery on stage and the blow picture of Louise Lytton was taken by photographer, Jim Marks. Cinderella has been named the nations best loved Panto and polls have said that pantos are perfect for getting us in the festive spirit. 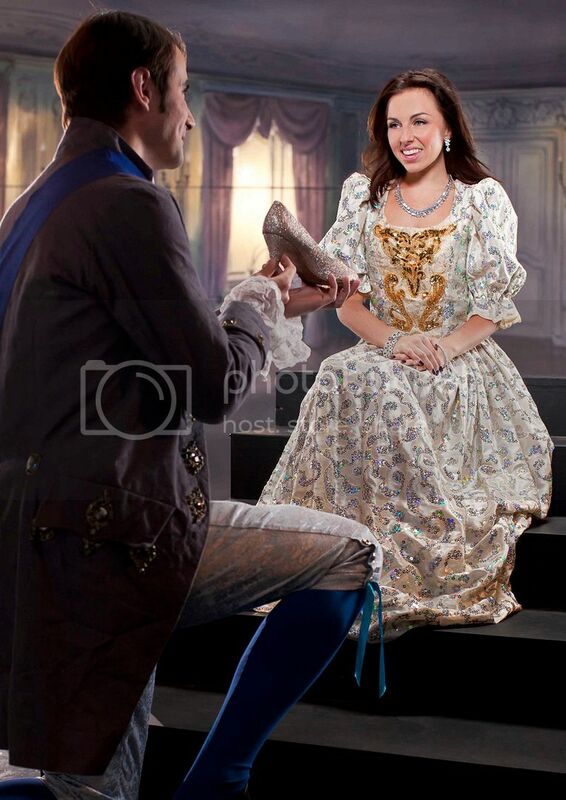 Cinderella's up and down the country will be wearing jewellery from the Diamonique range and will be shone in front of an audience of a quarter million people. Diamonique jewellery is the best replica of diamonds and are made to look like the real thing, with a lot of people not being able to tell the difference. Others, such as Sleeping Beauty's and Tinkerbell's will also be kitted out in QVC. What have you all been upto? 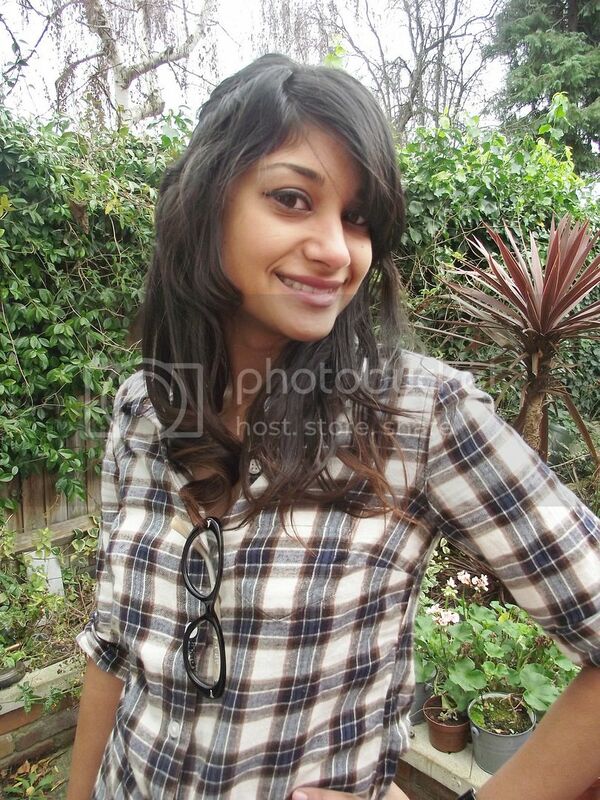 Love this post: you gave us so many interesting suggestions Sherin! Really liked your casual outfit: tartan shirt and tartan detail in your boots...really nice! I didn´t know about this artist! Love your weekend outfit. So comfy! Great post !!! Nice to discover all these cut things ! Thanks for your visit on my blog ! Glasses suit you! Wish I had a funky pair like that. Although I much prefer pictures of me without glasses! The glasses look great. I definitely need some of that detangler. I love your glasses! They look great! that girl is an amazing artist... thanks for sharing! 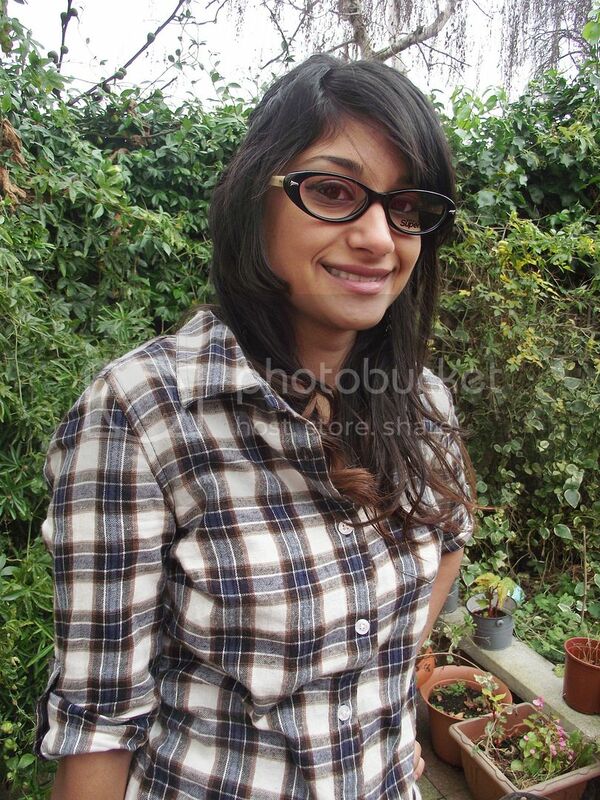 I absolutely adore your glasses, Sherin, they're just perfect! I recently started wearing glasses again after more than ten years in contacts... It's been an adjustment, but it's also really fun to look at glasses as an accessory :) Can't wait to see what other pairs you'll get! love your casual look sherin. especially the glassess. That outfit of yours looks fabulously comfy!